Ricardo Richards Elementary School students kicked off V.I. 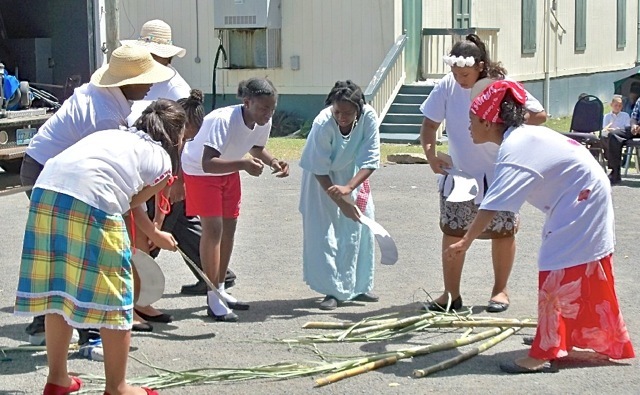 History, Culture and Tradition Month on Monday with a Quelbe Day program. Sixth-graders presented a charming program to the student body and teachers. 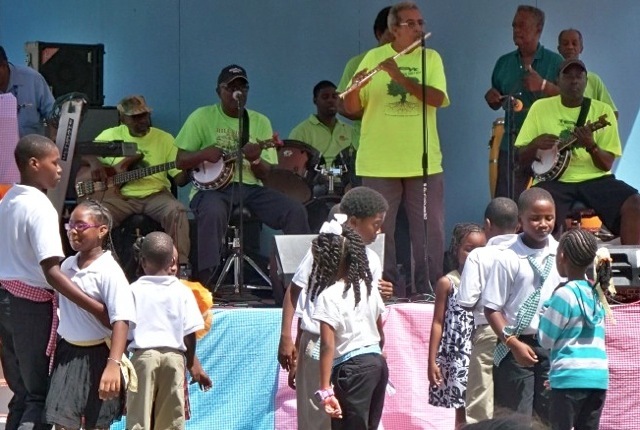 Stanley and the Ten Sleepless Knights provided music, a quadrille demonstration was given, and short reenactments of Virgin Islands’ historical events were performed. And students did an intricate and fast-paced maypole dance. Teacher and program organizer Paulette Edwards said the hold a big celebration so the children learn where they came from. She said organizers pass the history, culture and tradition on to the students in hopes that they in turn will pass it on. Monday was designated gingham day with all the students sporting a bright colored gingham bow or necktie. 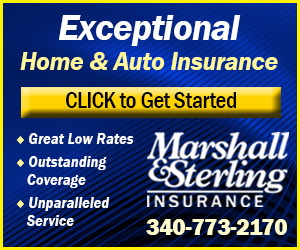 Gingham was a traditional pattern used in clothing. The students carried their own desk chairs outside and neatly placed them in the schoolyard in the shade of huge almond trees. Some students didn’t quite fit so they held umbrellas shading themselves. 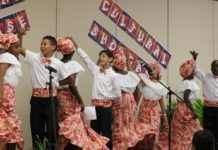 Guidance counselor Fabio Parrille led the Ricardo Richards Quadrille Dancers in a brief demonstration of the basic moves in the dance. 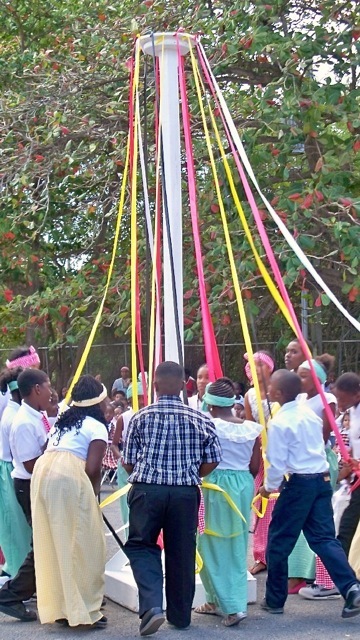 Bradley Christian of the St. Croix Heritage Dancers directed the students in the maypole dance. The tall pole hung with ribbons was woven into a complex pattern on the pole by the Ricardo Richards Maypole Dancers. Zahra O’Reilly led a group of singers and dancers in a lively rendition of “We de Yah” by Toby Derima from Express Band. Third-grade teacher and initiator of activities Wanda Vialet said the events started in 1998. 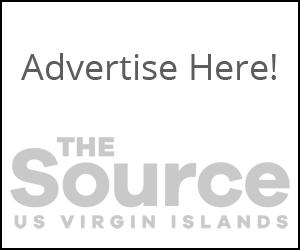 “The purpose was to introduce the students to as much Virgin Islands’ history as possible,” Vialet said. The March school calendar is full of activities marking V.I. History month. One of the highlights is the fifth annual "Taste of Ricardo," when the students bring in local treats to sample. 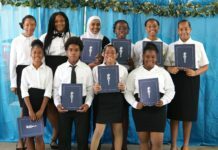 Edwards said as a token of their appreciation the school gives a donation to the Stanley and the Ten Sleepless Knights music scholarship fund for the support the band has given the school over the years.